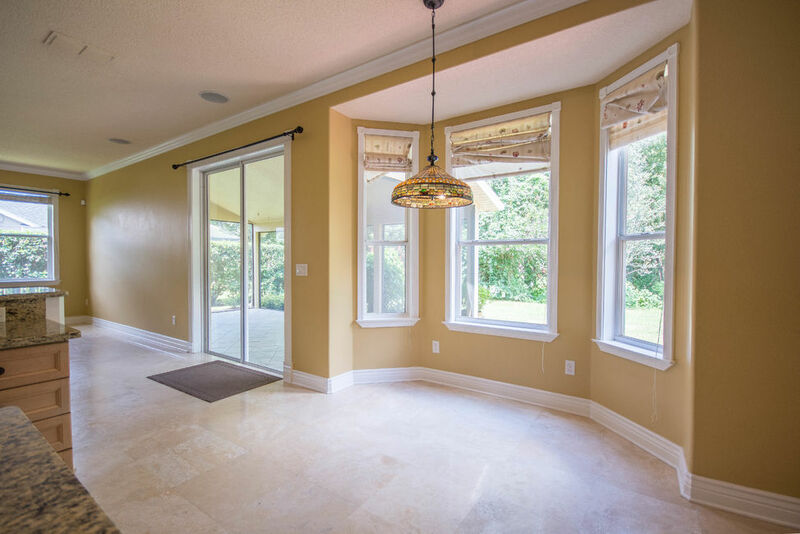 From the Living and Dining Rooms in the front of the home overlooks the pond. 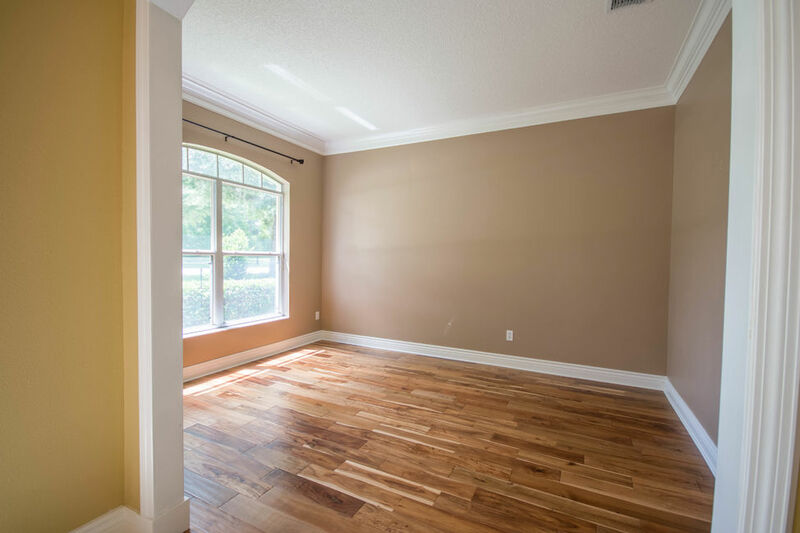 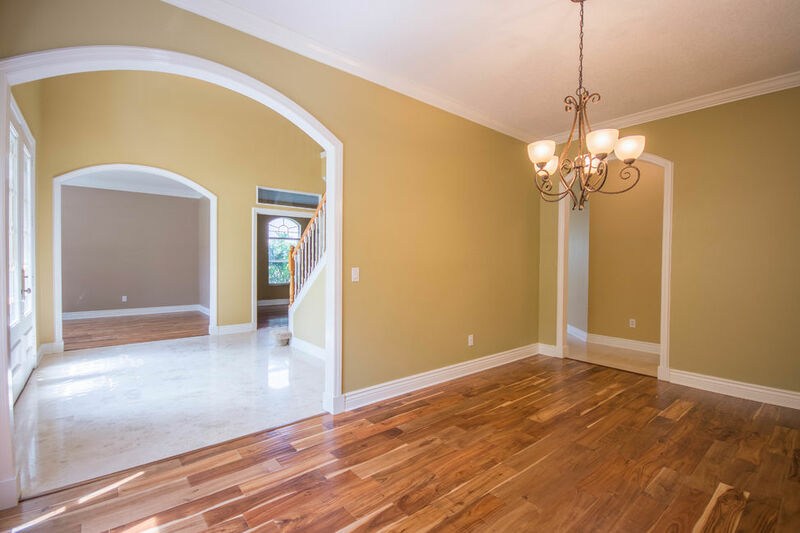 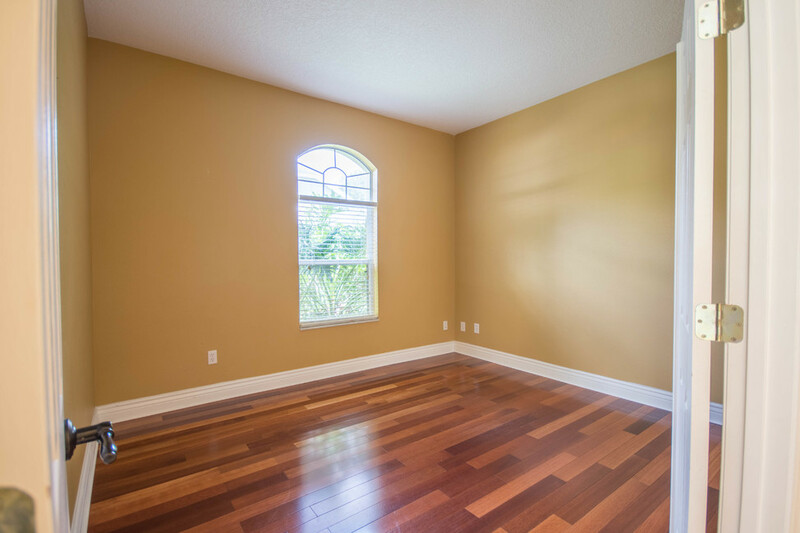 The Family Room, Kitchen and Master Suite has private tree views. 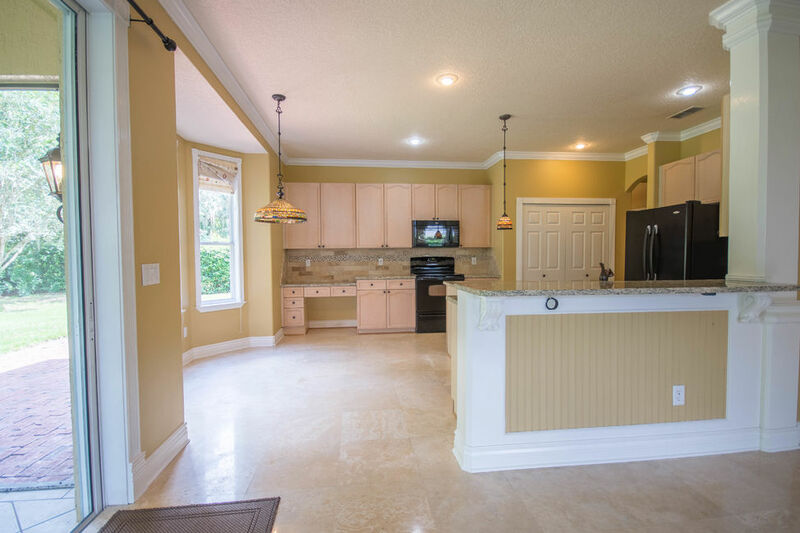 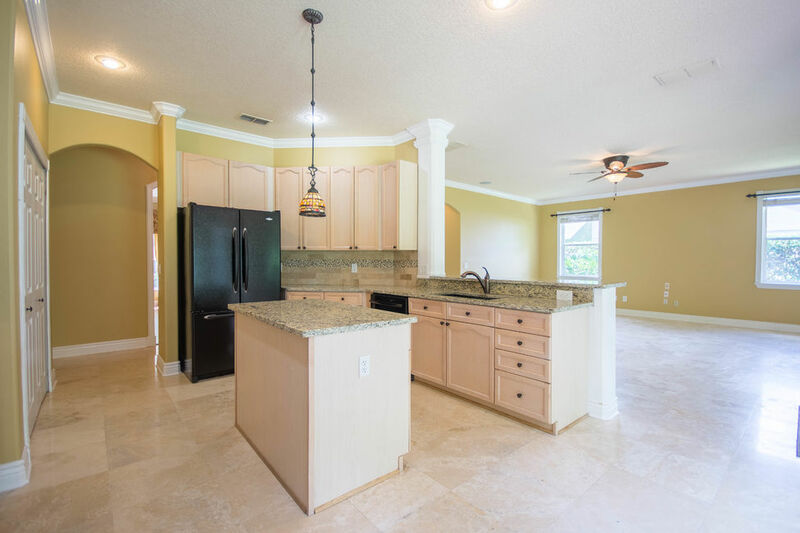 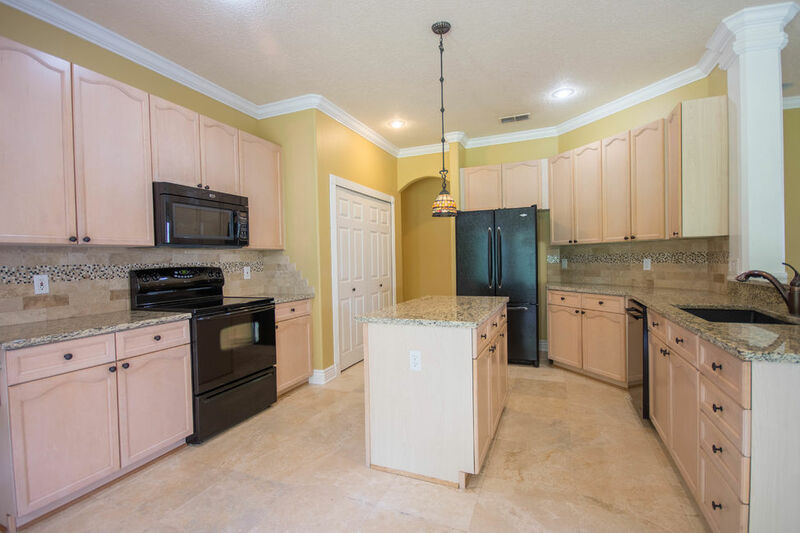 BRIGHT and OPEN Kitchen- Maple Cabinets, NEW Granite countertops, decorative backsplash, built in desk and storage in pantry. 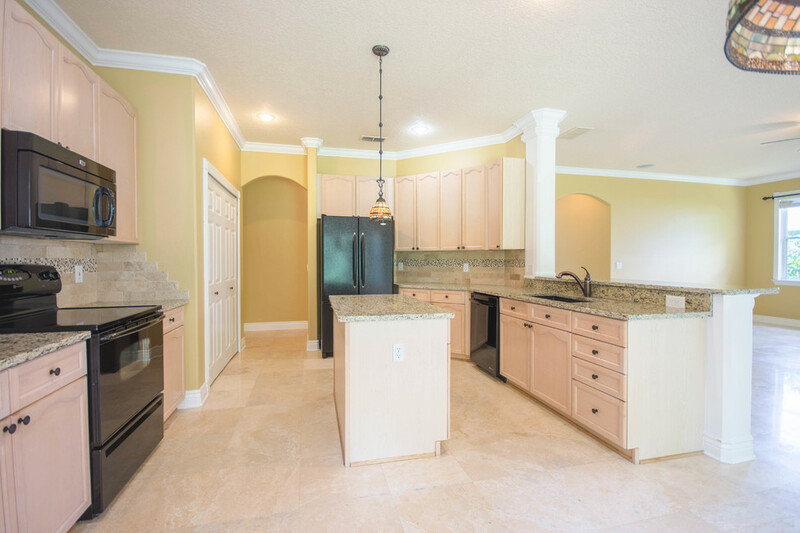 Casual Dining at the breakfast nook and the extended breakfast bar. 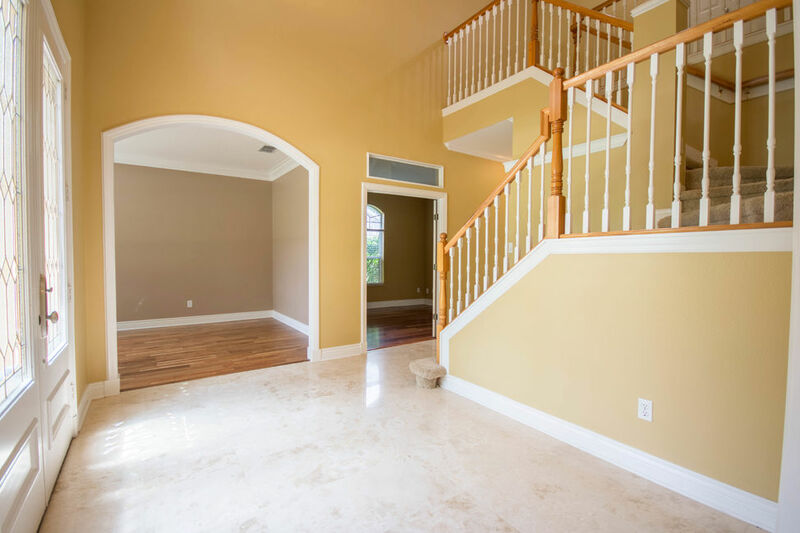 Master Suite and Den downstairs with three bedrooms upstairs. 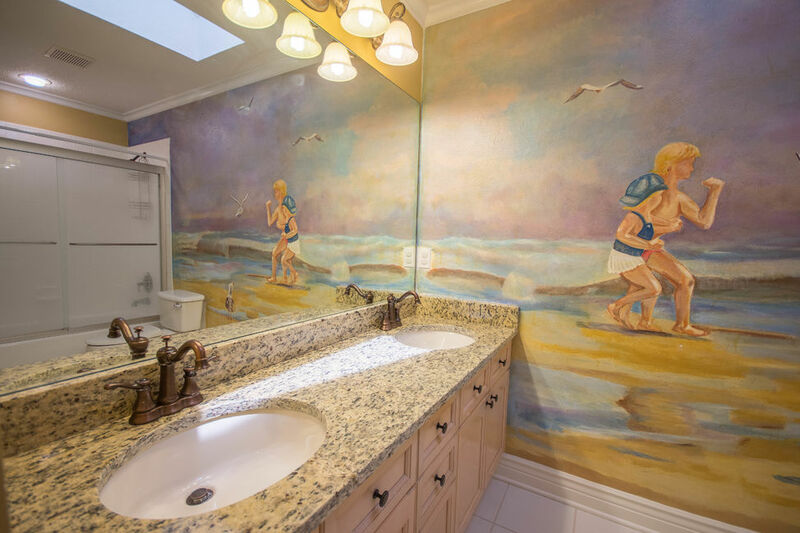 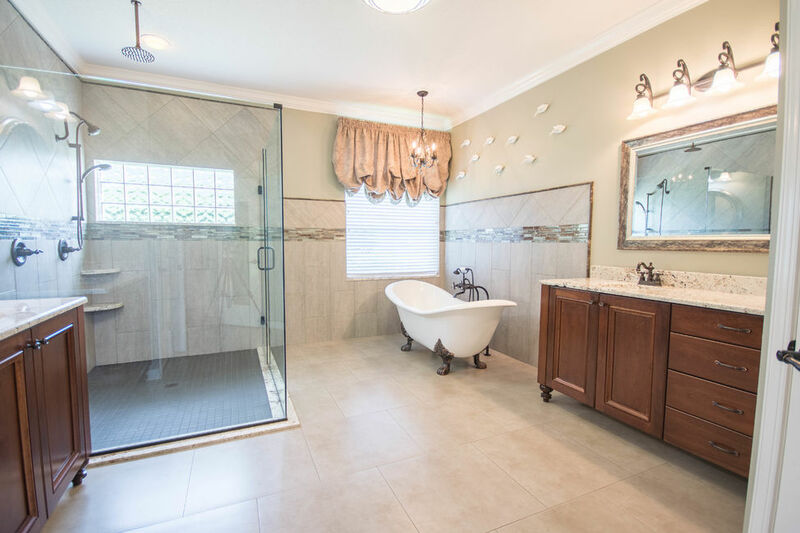 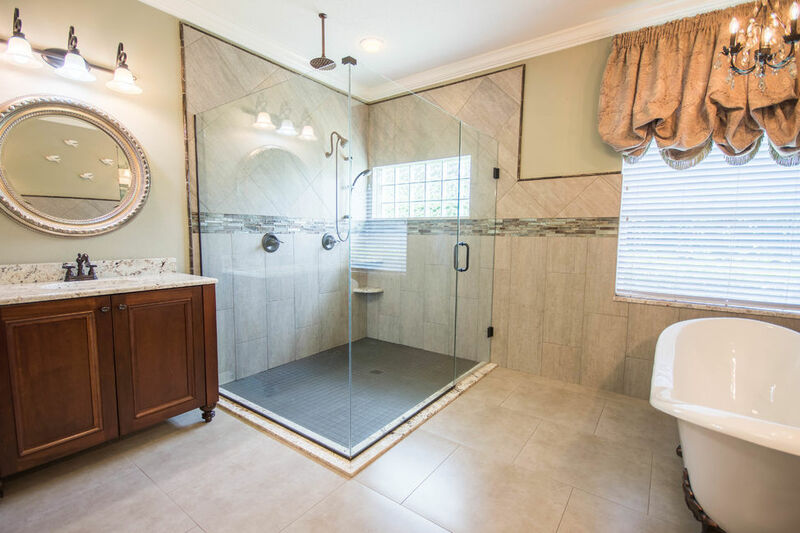 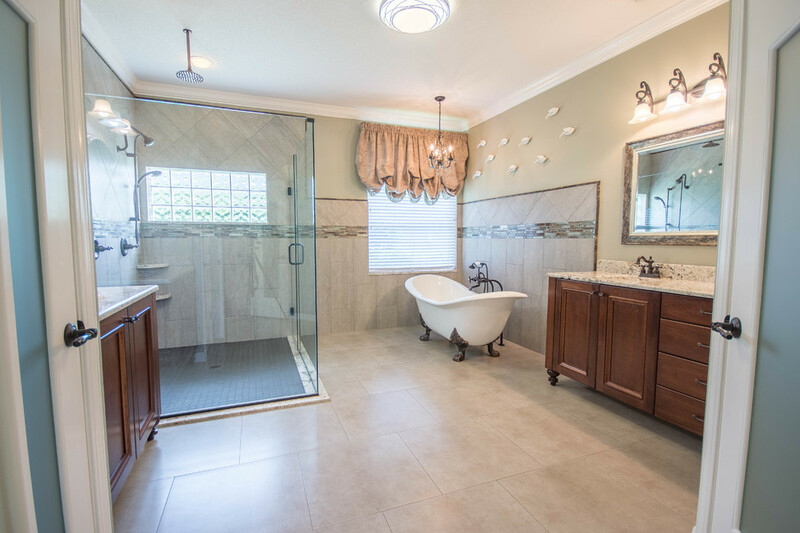 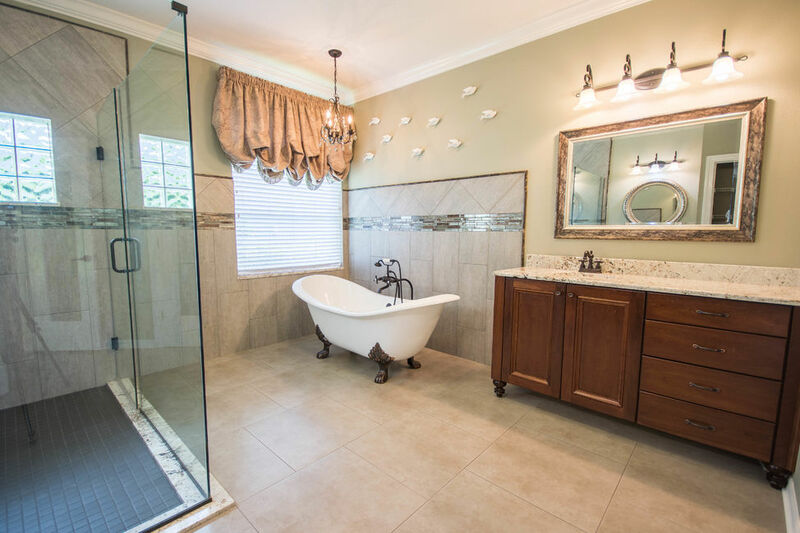 Custom Master Bath: Double Cherry Vanities with Granite counters, Spacious walk-in shower with Rain Shower feature, Bear Claw Tub, linen closet and separate water closet. 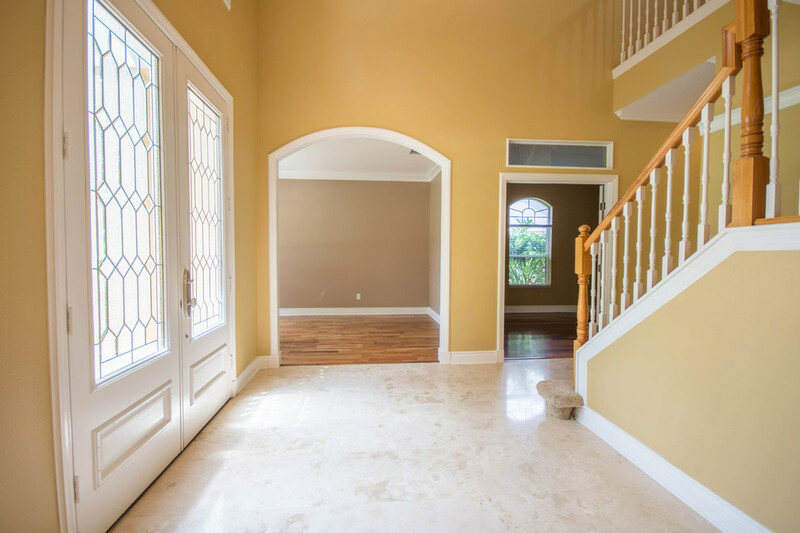 Travertine Marble and Wood Floors through on the whole first floor. 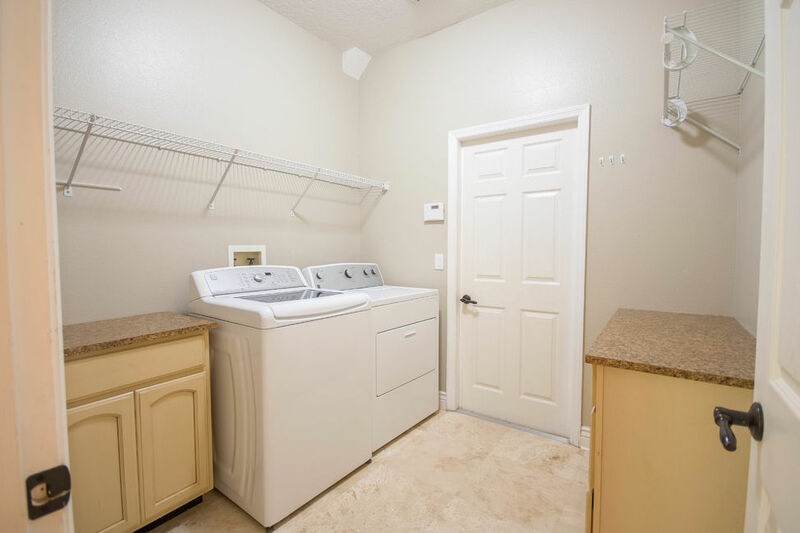 Washing Machine and Dryer included! 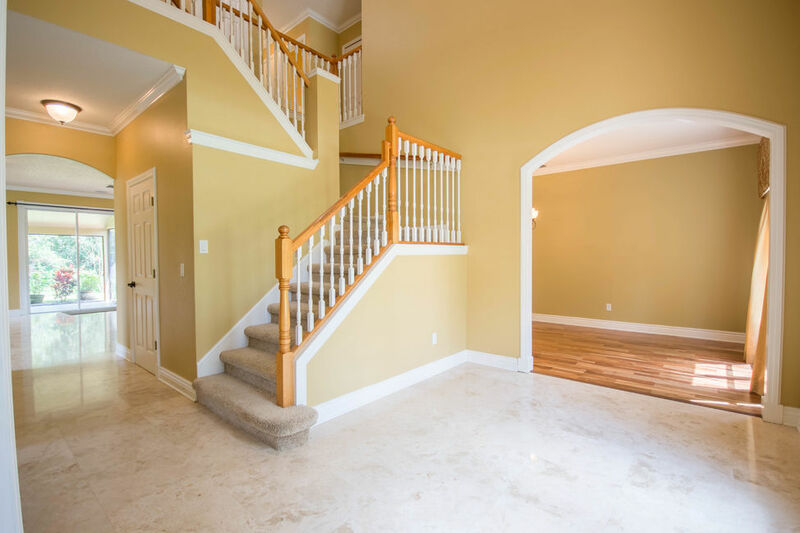 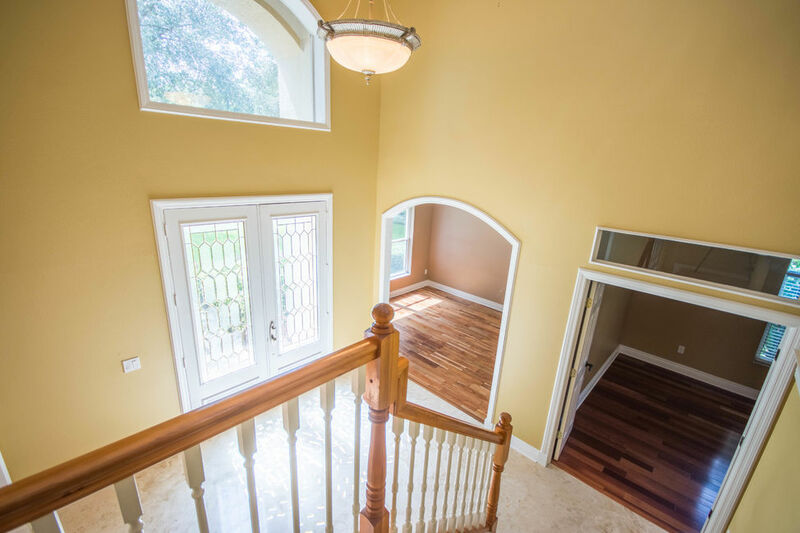 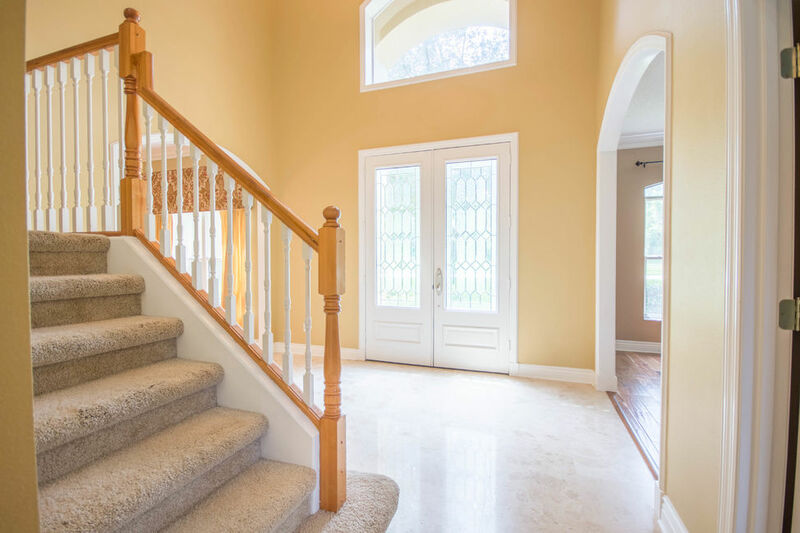 Grand staircase with exquisite trim work detailed: crown molding in main living areas, trimmed windows and window treatments included. 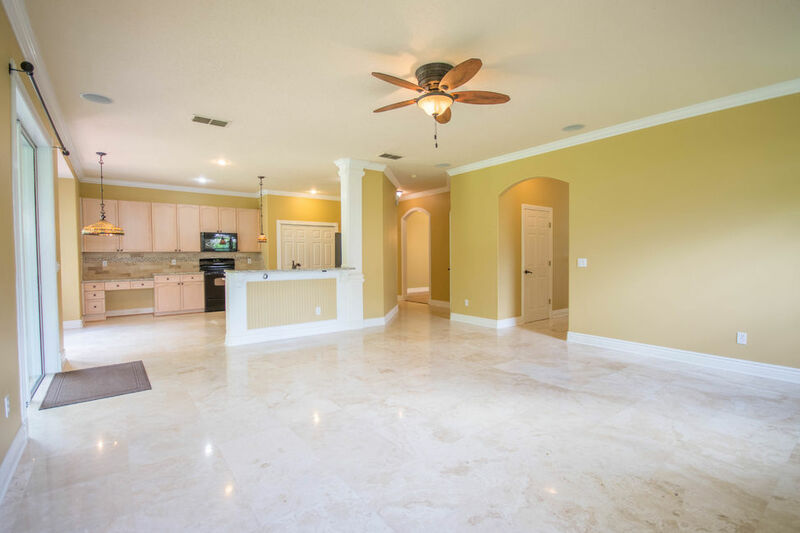 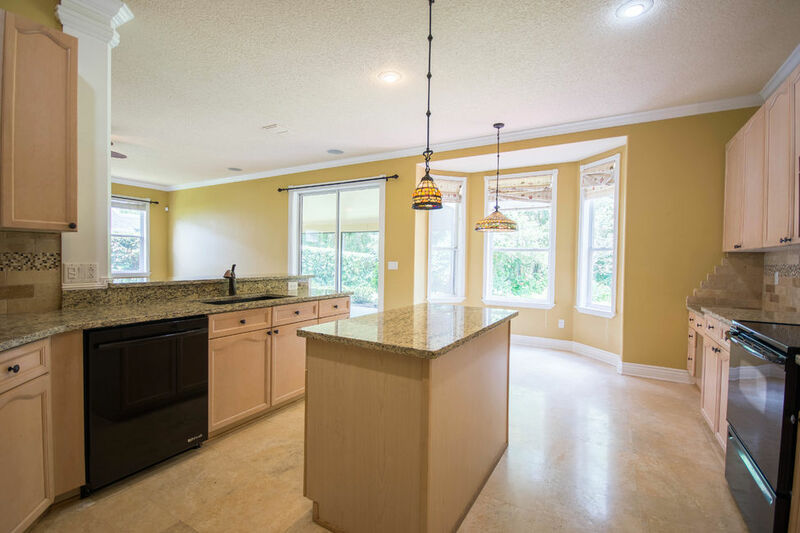 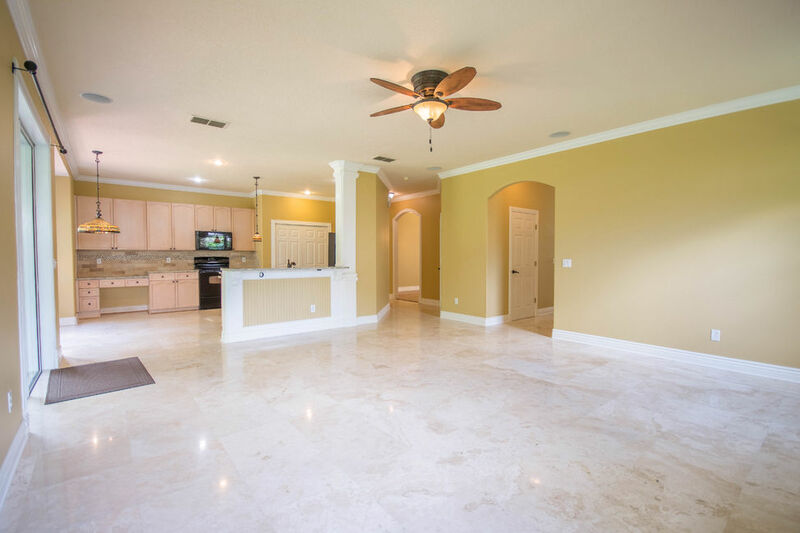 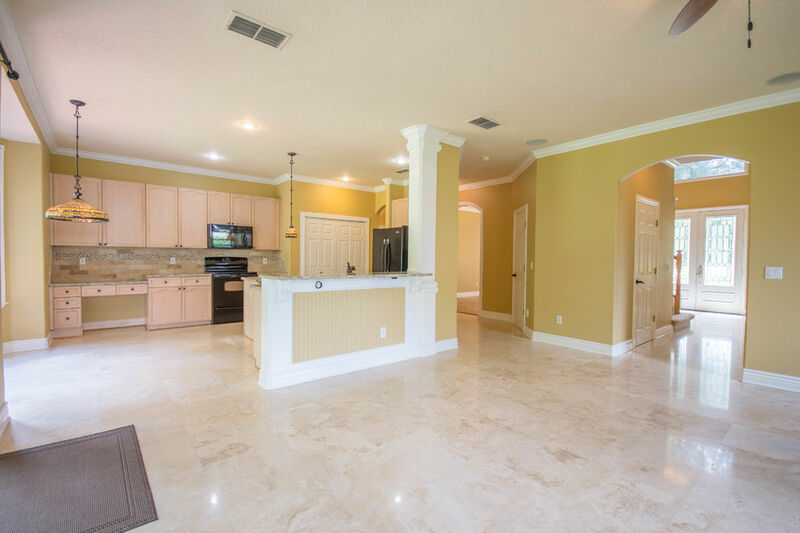 Friends and Family can gather in the Family Room overlooking the patio and open to the kitchen. 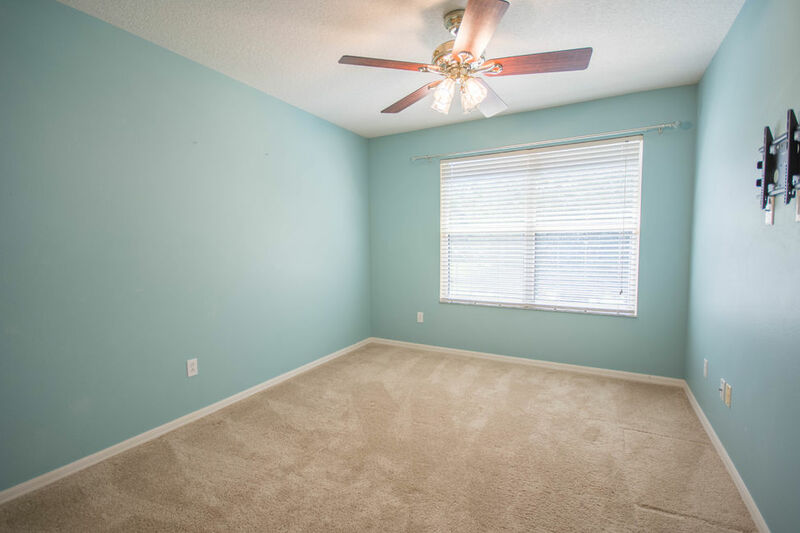 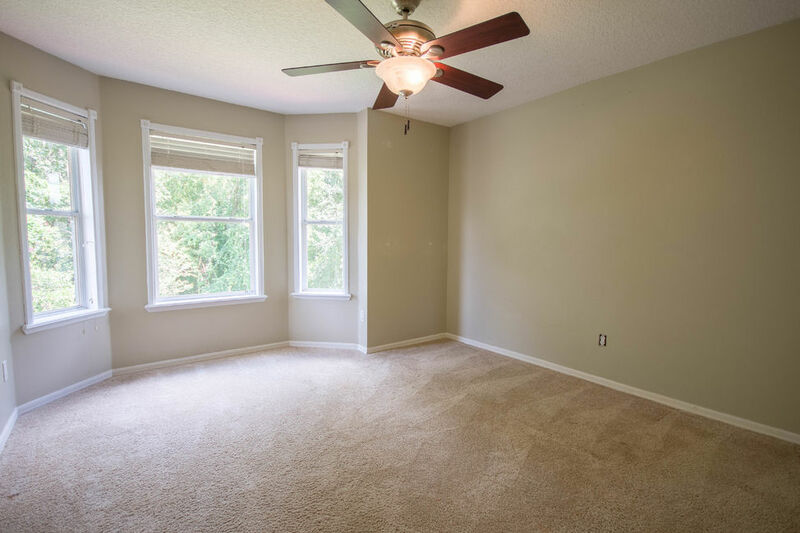 Newer carpeting upstairs leading to the 3 bedrooms and guest bathroom. 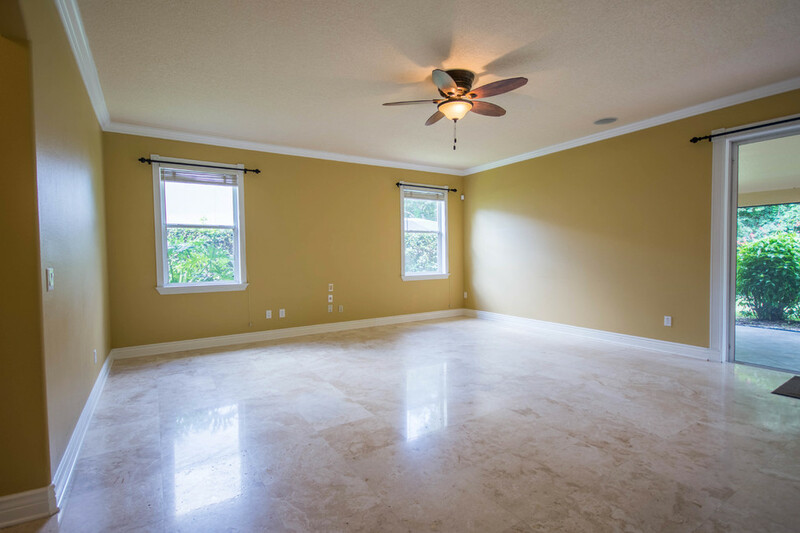 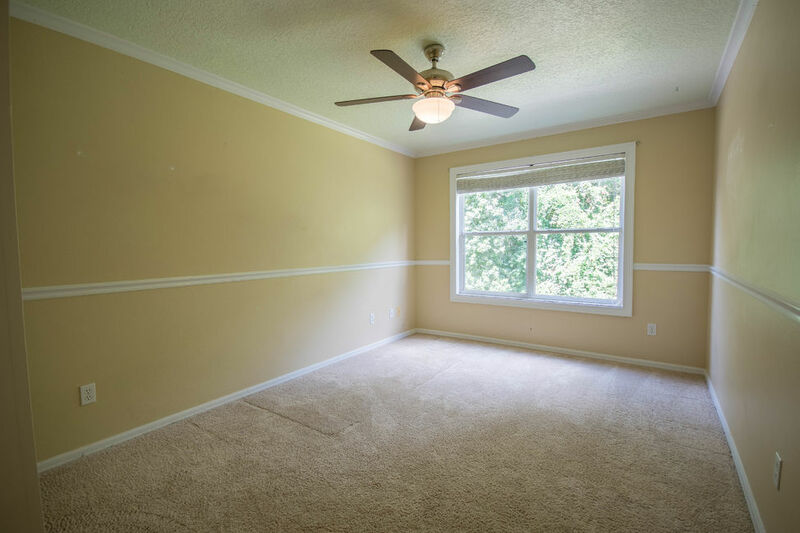 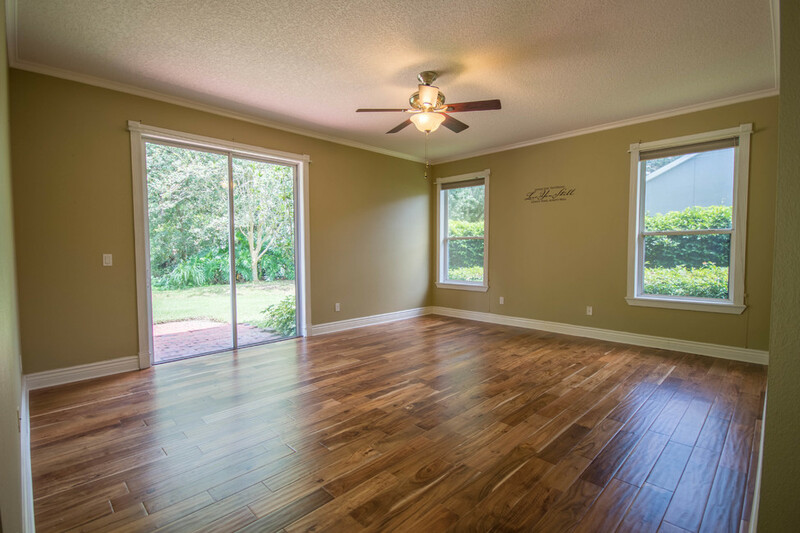 BONUS Features: New A/C and Air Handlers, CENTRAL VAC, large Utility Room, many storage closets and OVERSIZED Garage. 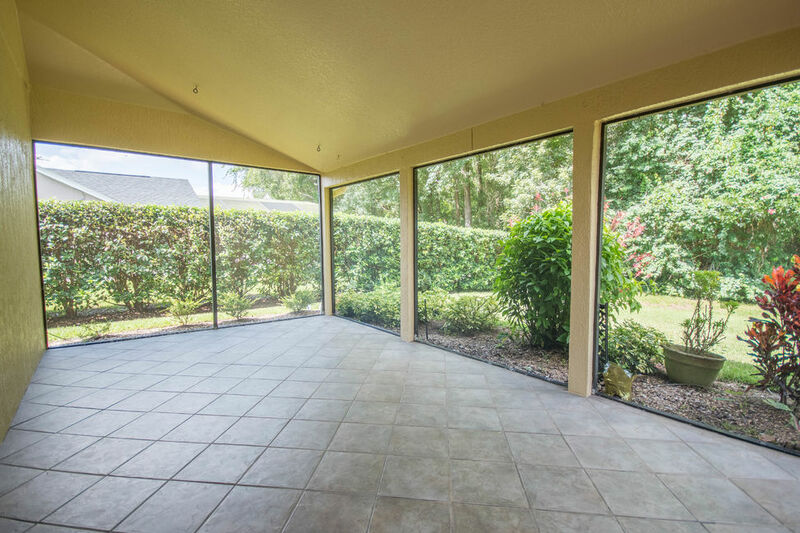 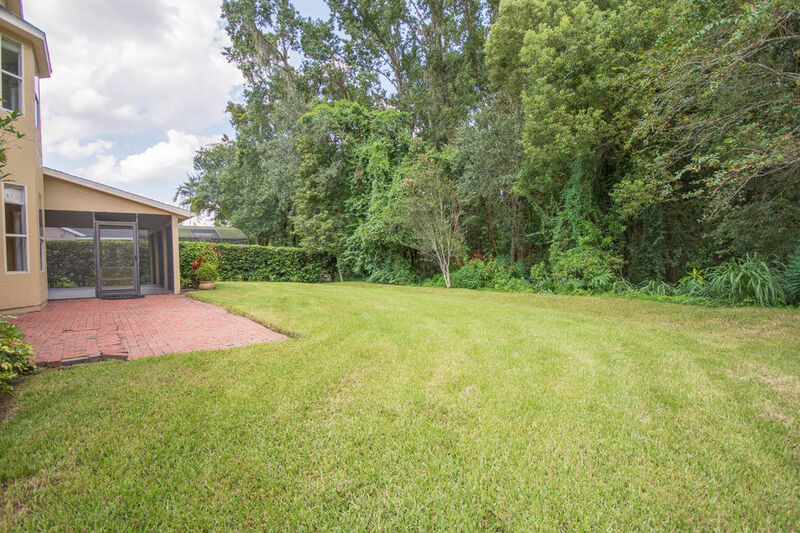 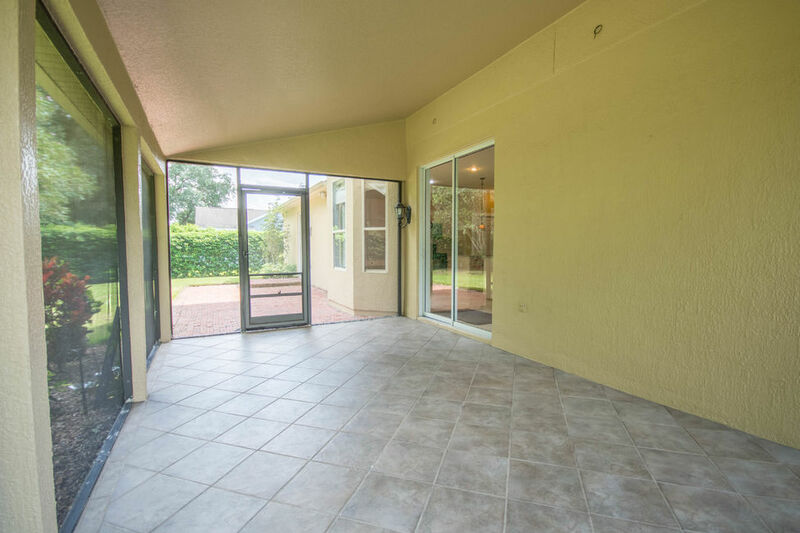 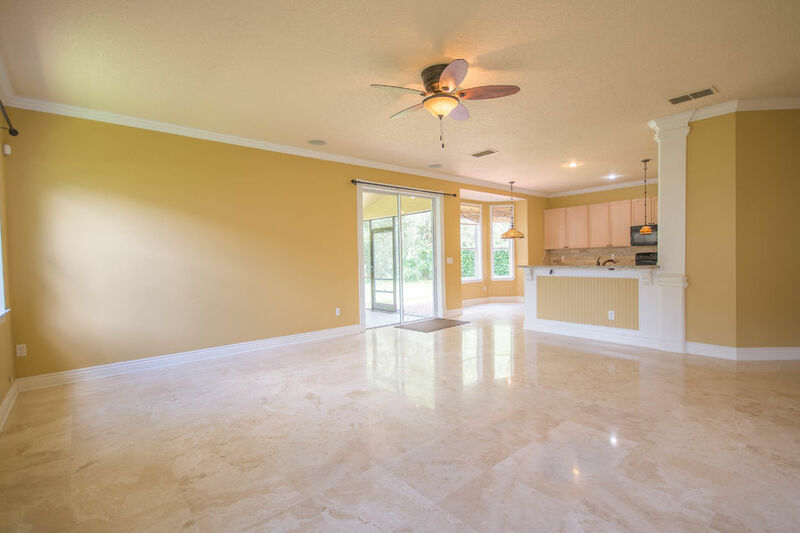 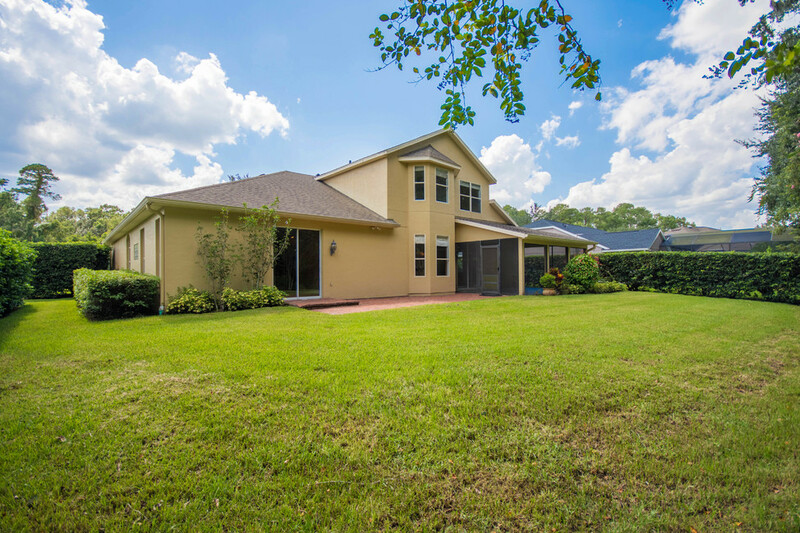 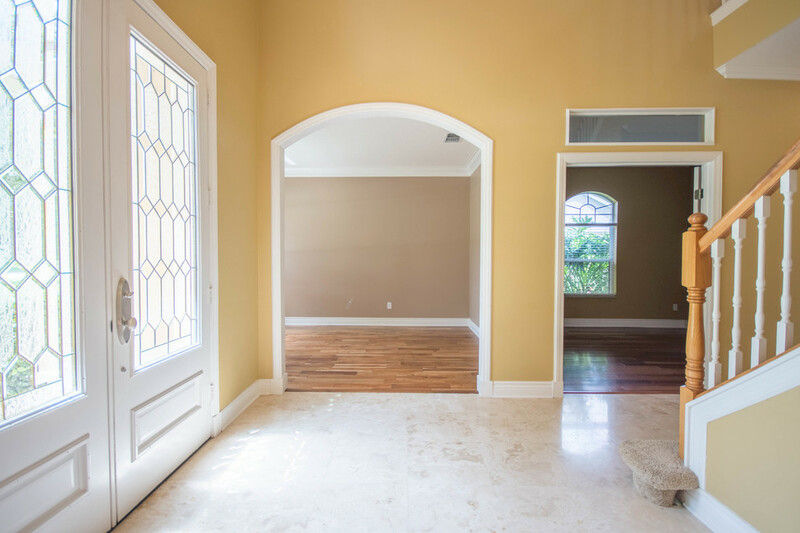 Outdoor Entertaining in the screened enclosed patio overlooks the landscaped 1/4 acre yard. 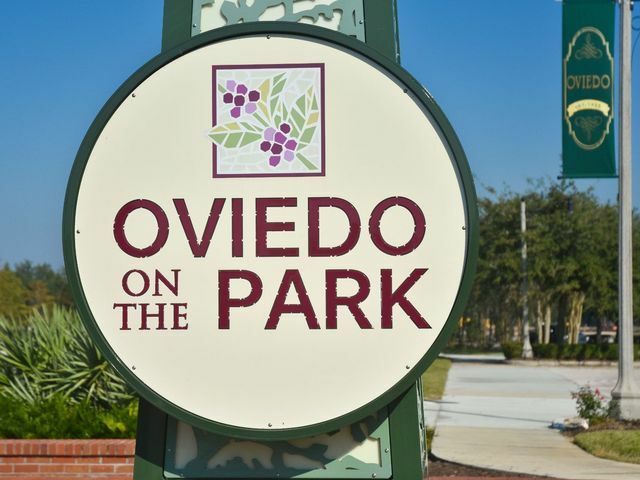 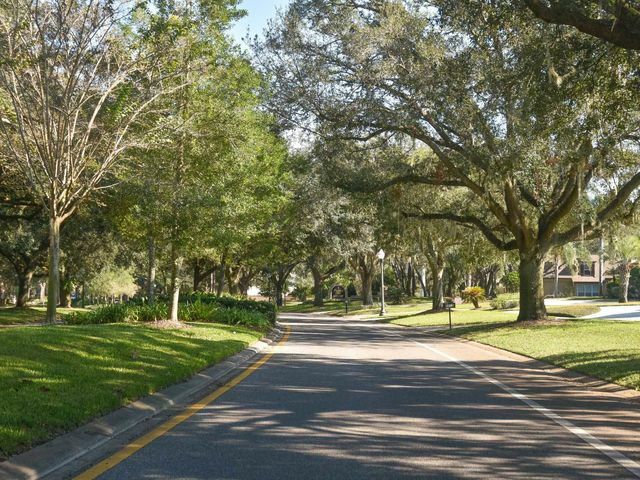 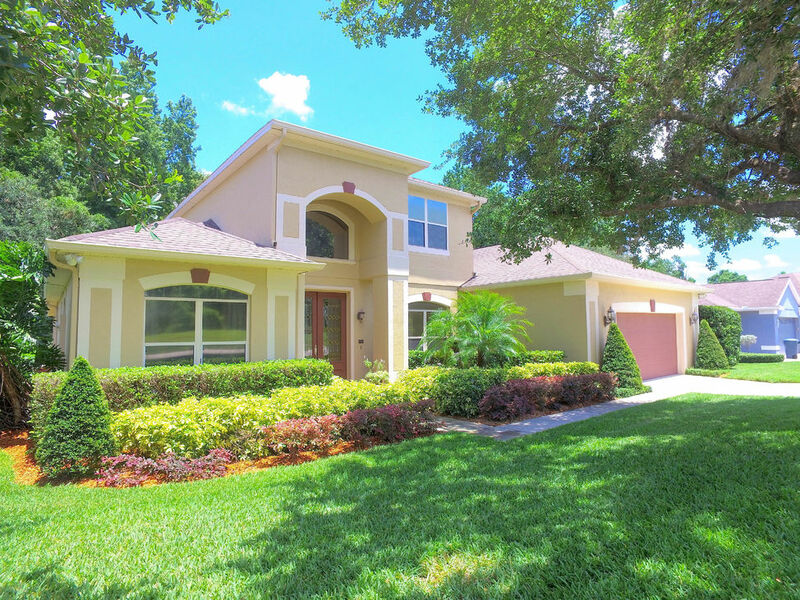 Zoned for Excellent “A” rated schools in Winter Springs. 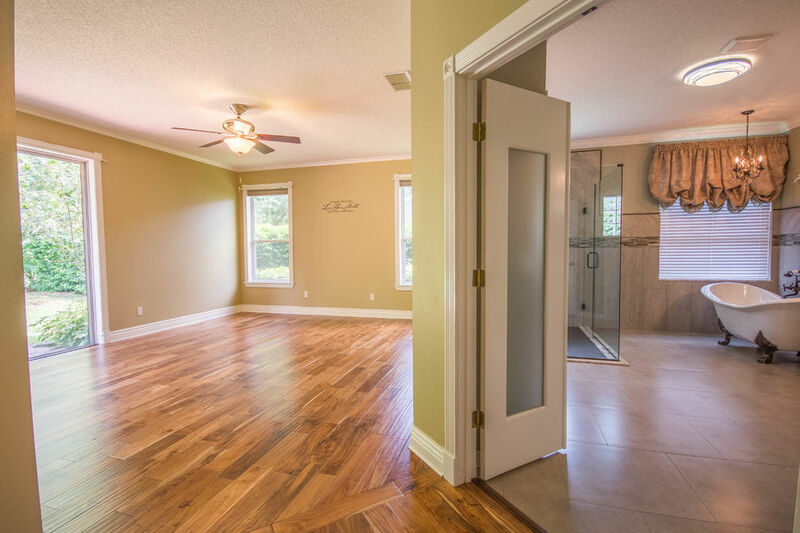 Located close to shopping, entertainment & a quick commute to the 417.